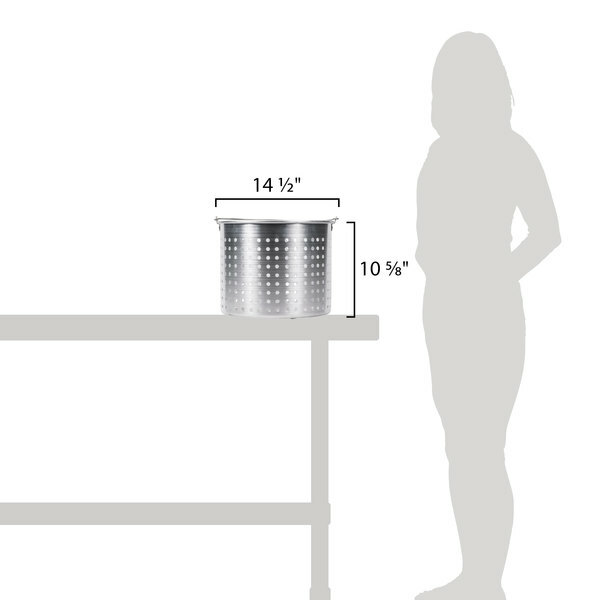 Steaming, boiling, and frying foods is easier than ever with this 40 qt. 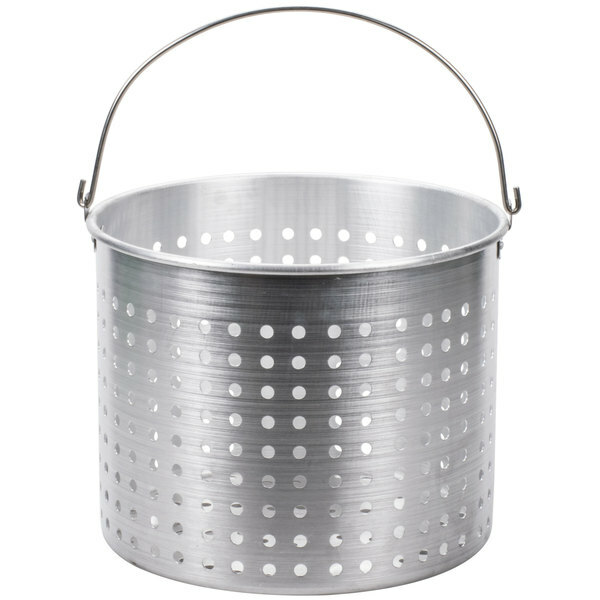 aluminum stock pot steamer basket. Wondering how to make perfectly tender vegetables, al dente pasta, and succulent onion rings in a snap? This 40 qt. 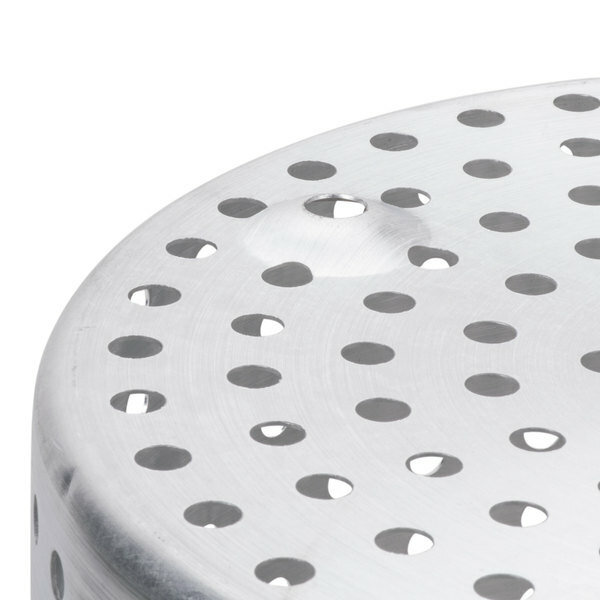 aluminum stock pot steamer basket is the answer! 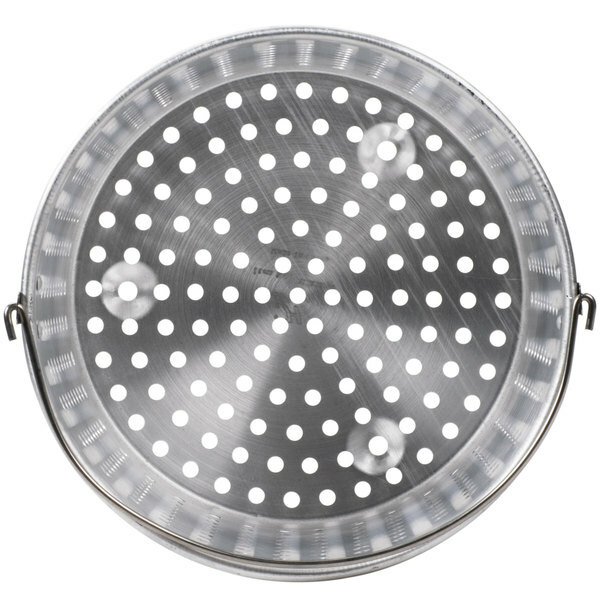 This steamer basket is designed to be placed in a 40 qt. 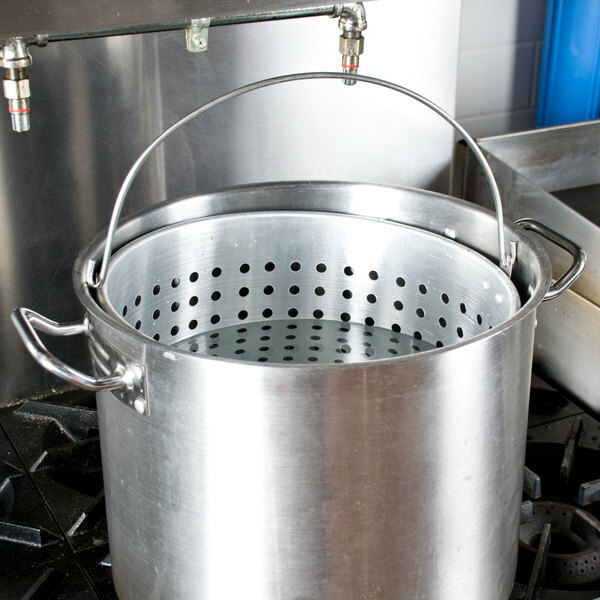 stock pot filled with boiling water, broth, or oil, and can be used in the kitchen daily to submerse and blanch vegetables, boil seafood, rinse pasta, or drain fried foods with ease. 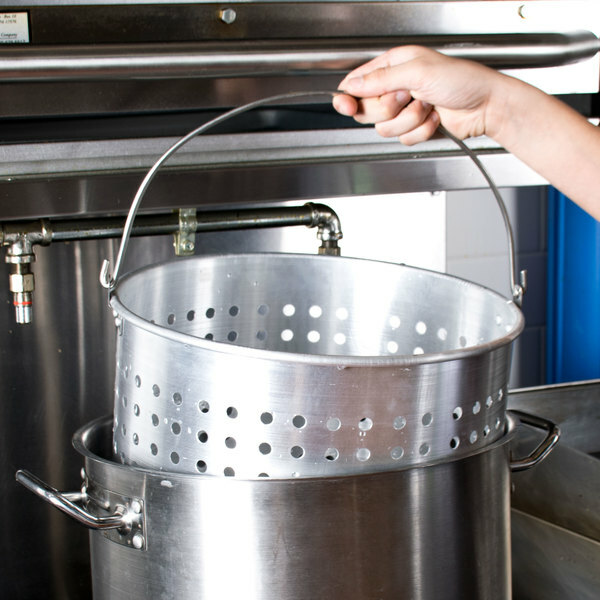 "Works perfectly for us for straining out the bones and vegetables for our house made stock. Great price and that it cleans easily is a nice bonus." Designed to fit inside a 40 qt. 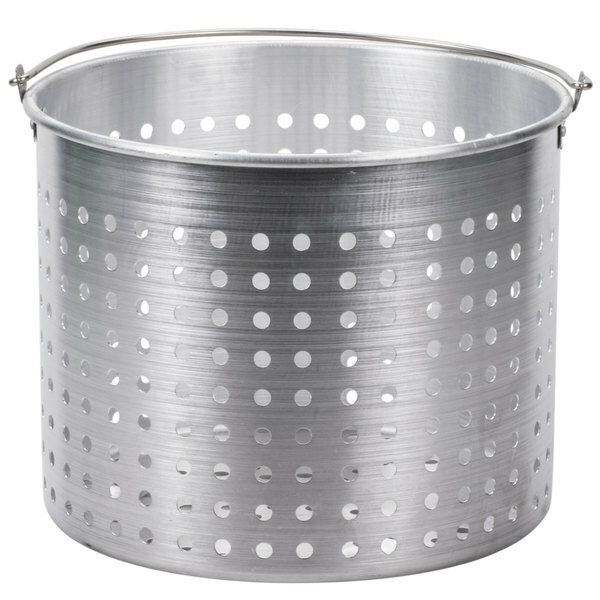 stock pot, this steamer basket is perfect for a variety of uses. Rinse pasta, drain the oil off of fried foods, pull boiled vegetables and shellfish out of the water easily, or use it to strain large bones out of stock. 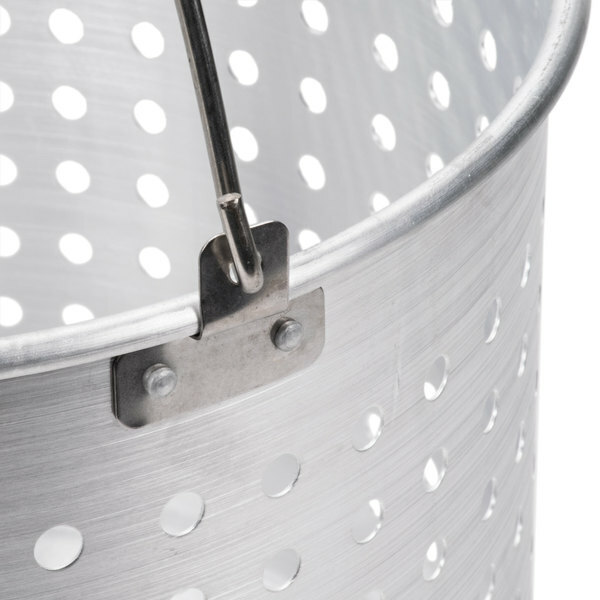 This steamer insert basket is made from 1mm thick 3003 aluminum, with a heavy base and reinforced exterior to provide extra support against the rigors of constant use, warewashing, and storage. 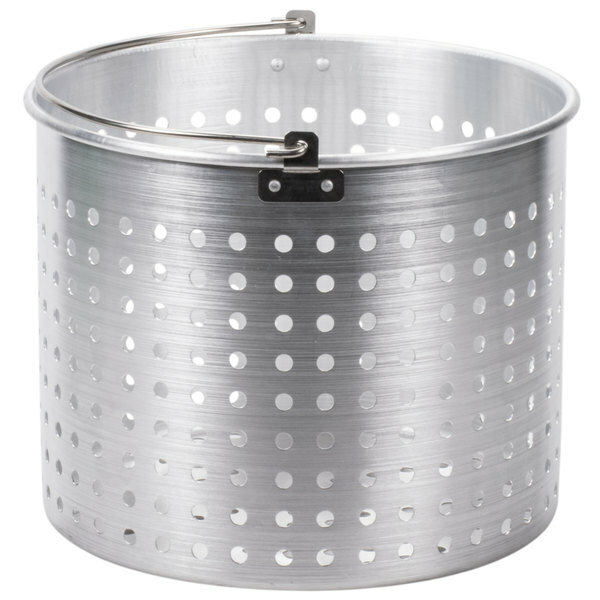 This steamer basket works great with our 40 qt stock pots. 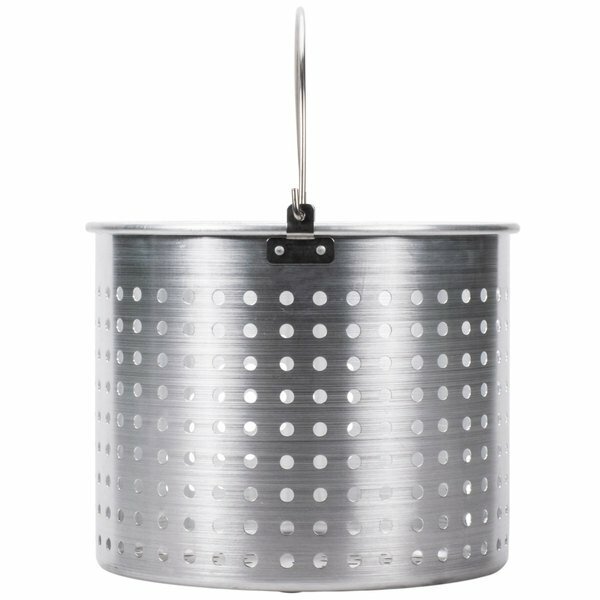 It is perfect for cooking large amount of pasta, boiling potatoes or cooking vegetables. To be honest I bought this cook lobsters, but it does work for so many more things. 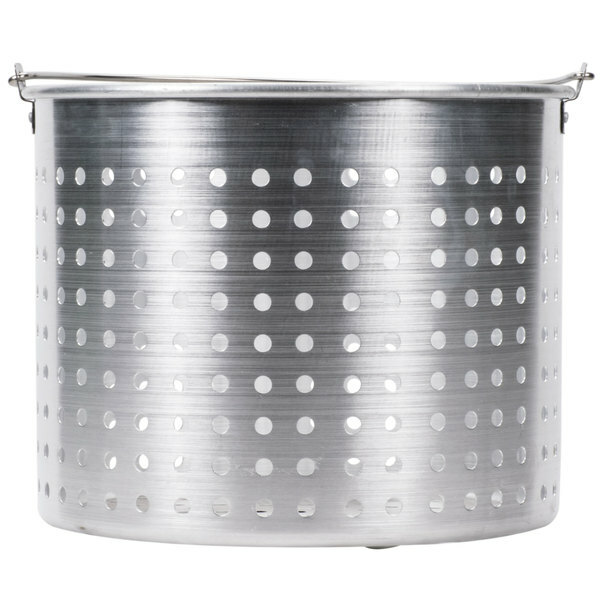 Fits just perfectly our 40qt stock pot, and makes it very easy to take those lobsters out of the pot without having to fish for the lobsters with tongs. Works perfectly for us for straining out the bones and vegetables for our house made stock. Great price and that it cleans easily is a nice bonus.